I am a self-confessed beauty addict, I said it; I love all things beauty related from makeup to skincare to the latest hyped up sponge which has just been announced on the market. I love it all. I'm constantly craving new products to try, the latest launches and cult classics, new and old as I get so much joy and elation from the industry. 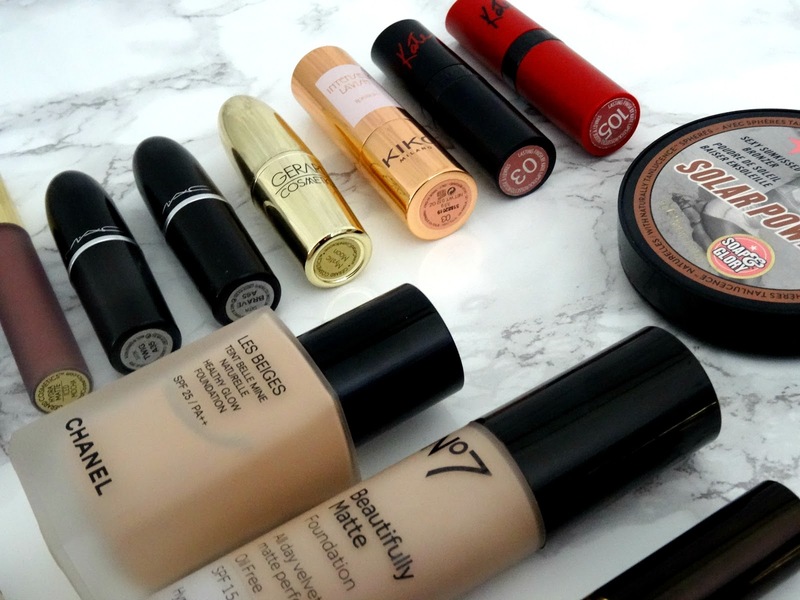 I've had my fair share of makeup collections, which have included owning around thirty different Makeup Revolution lipsticks, which cost only one pound each, and over ten concealers, high-end and drugstore so you can see the variety I've had in my collection over the years. However, as the lipsticks increased so did the amount of storage that held it all, meaning I was spending a lot of money on realistically unnecessary items aka that bright orange lipstick that I've worn maybe once in the six years that I've owned it. Do you see the slight issue I was having? After constant months of going through my collection, having a whale of a time swatching everytime, trying everything out which I'd never been brave enough to wear outside of the house, it suddenly dawned on me that probably half of my makeup was disgustingly out of date, regardless of whether I'd got any use out of it or not. I was so proud of my lipstick collection the most, containing a rainbow of shades from nudes, pinks, reds, oranges, purples, greys, browns, blacks and you can probably guess how many of them I wore on a daily basis, around two or three because the colours were horrific on me! Not to mention the array of bronzers and blushes I kept even though I don't tend to wear a daring blush nor a bright orange shimmery bronzer; it was just there for the show and tell. So a couple of months ago I had a complete rejig of absolutely all of my makeup, every single piece and laid them all out into sections of usage: daily, sometimes, used maybe once in the last year and not touched for centuries, which helped me to whittle down the collection. With all of the items that I hadn't used very much of, and weren't old, I'd give them away to friends and family or sell them on Depop for a discounted price so that someone else could show the product some loving instead of it sitting and collecting dust. It has got to the point where I am only using a couple of my acrylic drawers now which hold the rest of my makeup in neatly. I get such a thrill of excitement when I declutter knowing that I'm not hoarding anything that I don't use anymore, bye bye orange lipstick, hello a bunch of nudes. 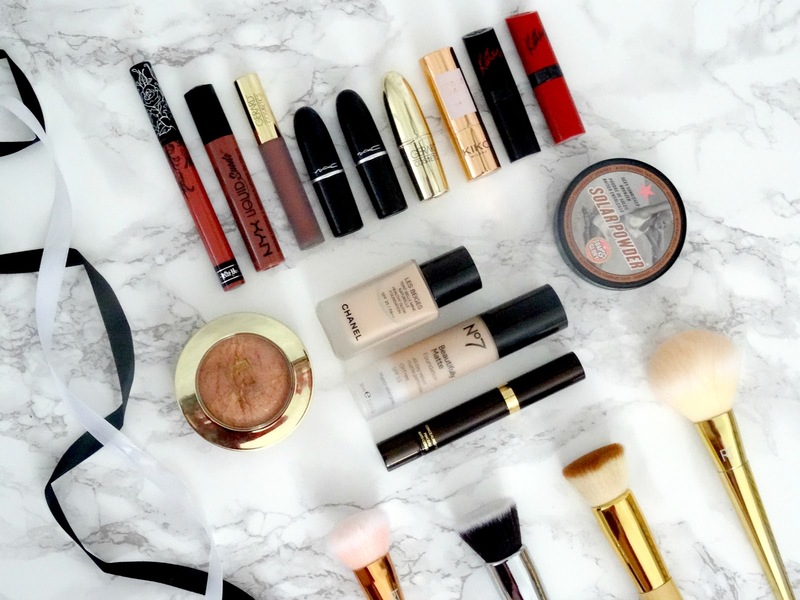 There is nothing more refreshing than going through your makeup collection and being able to say that you love every single product that you own and you use them all the time on rotation. It's an amazing feeling. I cannot stress the feeling of having a more 'minimalist' collection, it makes you realise how great the products actually, especially those that you never used to reach for before. I used to think I was content and happy with my collection but since I've decluttered I now know that I was lying to myself and was only thinking about the quantity and not the quality in which I owned. It also opens your eyes into how much money you have spent/wasted over the years on makeup which you never really use or dislike. Now that I declutter regularly, it's enabled me to think more about what I actually do need in my collection and not just about what would look pretty, the latest release or the product everyone is talking so highly about. I would highly recommend that you take some thought and time to do a declutter sometime soon. It's a real eye-opener and once you start you won't go back. 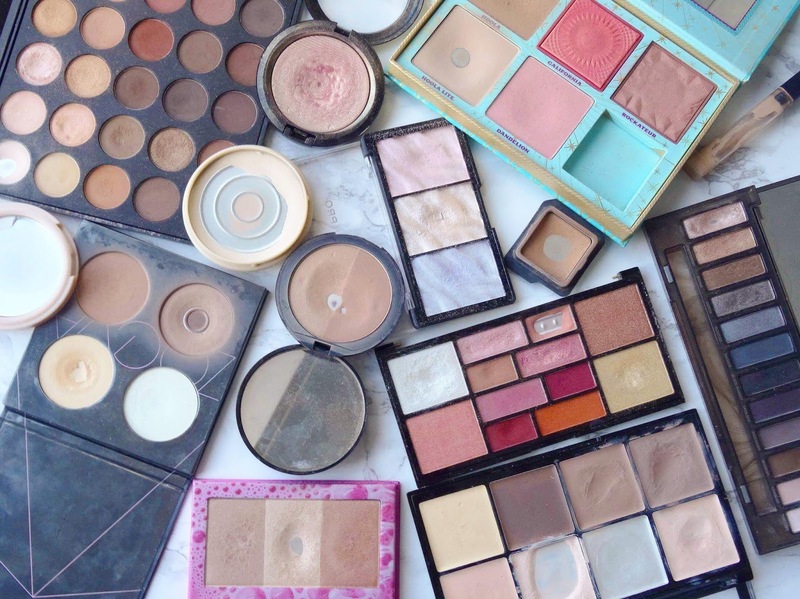 When was the last time you decluttered your makeup collection? Do you feel the importance of doing so? Thanks for reading.